This e-version of The Gift of Womanhood by Guru Rattana, Ph.D., offers to every woman a profound formula and effective transformational techniques for liberating her psyche. In so doing, it also reveals a ground-breaking approach to women’s empowerment. There are simple methods to decode your mysterious design and guides for you to awaken to your authentic identity as a sacred woman. 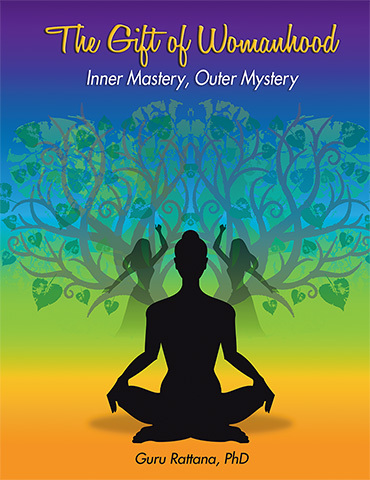 Using her deep insights and sensitivity, the author illuminates a unique spiritual path for you as a woman, using Kundalini Yoga and Meditation techniques that will touch your soul.